The management information systems major in the Decision Sciences and MIS department is for ideal for students who want to learn how to manage people and the systems related to information technology. The recommended plan of study includes classes in economics, accounting, and marketing in addition to systems analysis and design, strategy and critical reasoning. Why Major in Management Information Systems (MIS)? The MIS major prepares students to compete in a digital world, with the study of business and computerized information technology. Drexel LeBow helps integrate both areas of knowledge and helps students to apply the power of technology into solving business problems. Students studying management information systems (MIS) will receive a BS in Business Administration with major in Management Information Systems. 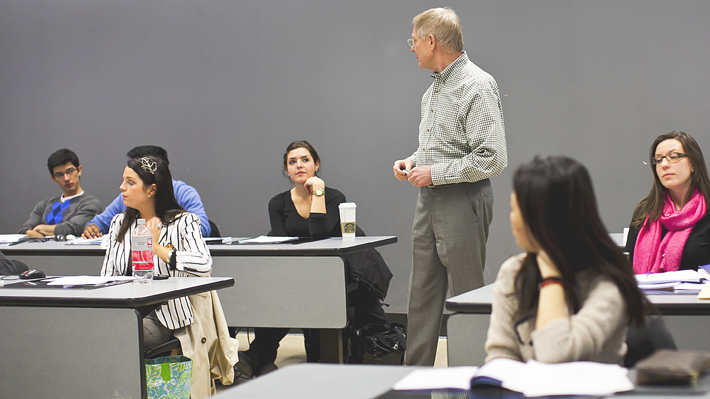 The Management Information Systems Major concentration is available to all students enrolled at Drexel LeBow. LeBow’s BS/MBA program provides academically qualified students with the opportunity to earn both a bachelor’s degree and an MBA with five years of study. A minor in management information systems can be a great supplement to a wide range of degrees. The Management Information Systems Minor concentration is available to all students enrolled at Drexel LeBow. All interested students should meet with an advisor. Make an appointment by calling the Undergraduate Advising Office at 215.895.2110. Full-time employment data reflects the class of 2017. Co-op data reflects academic year 2016-2017. 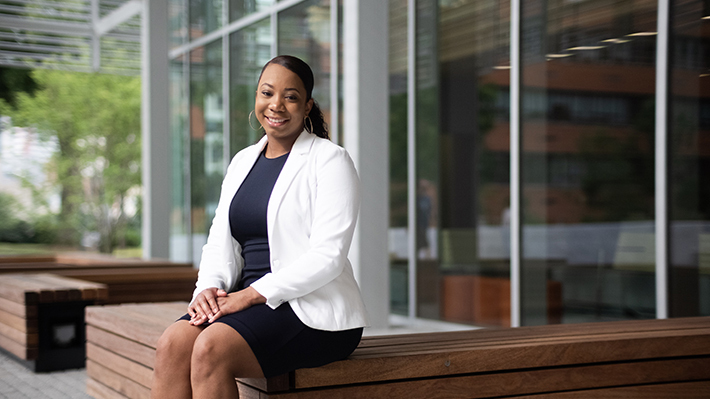 After a short detour while exploring Drexel University’s campus, Cayla-Simone Riggs knew she had found her new home. The department uses a strong interdisciplinary focus to develop graduates who excel in a variety of fields in the business world and beyond supported by faculty in business analytics, management information systems, operations management, operations research and statistics. Providing resources and opportunities to enrich the student life for students studying the management of information systems or related disciplines.